I am so excited to tell you that one of my favorite old movies is finally out on DVD. I have been anxiously awaiting its arrival for years. (It was evidently released at the end of last year but I didn’t realize until recently). 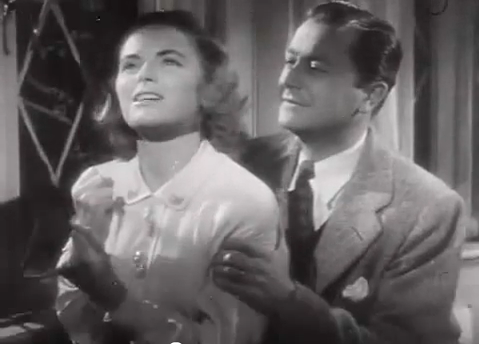 Enchanted Cottage is a wonderful sentimental classic with Robert Young and Dorothy McGuire. If you like classic romantic movies, with meaningful, poignant themes, you will love this. Aside from the two stars, the movie also features Herbert Marshall in a wonderful role as well as Mildred Natwick. I don’t want to give anything away so let me just add, they don’t make them like this any more. We’ll be discussing more of my favorite movies in later posts but for now I’m just envious of you readers who will be watching for the first time. Enjoy! This entry posted in film. Entry Tags: Classic Movies, Robert Young, Romantic Movies Bookmark the permalink. 79 queries in 0.738 seconds.